For taxpayers who itemize, the 2 percent miscellaneous itemized deduction was a handy catchall bucket for expenses such as investment fees and expenses and tax-preparation fees. 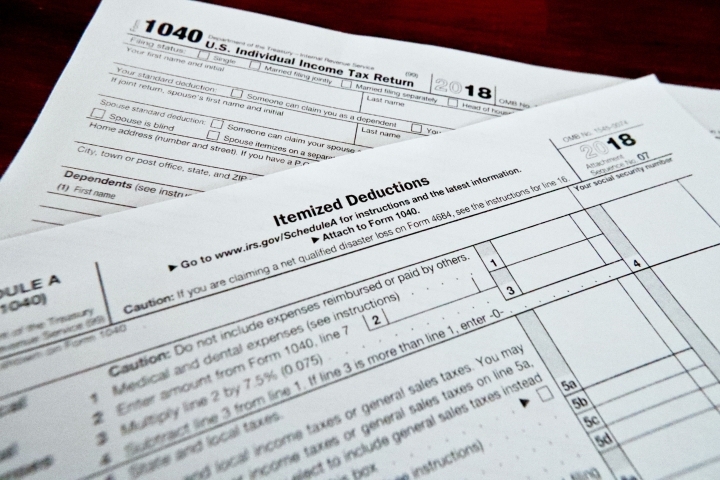 It wasn't easy to qualify for this deduction — your expenses had to top 2 percent of your adjusted gross income before you could claim them — but it was a nice option to have. Here's some good news: The new tax law trimmed income tax rates . That means short-term capital gains — that's money you make when you sell certain investments that you've held for less than a year — now also enjoy a slightly lower rate. "If you've got short-term gains — those are taxed as ordinary income — they get the benefit of lower rates now, so there's a bit of a break there," says Tim Steffen, director of advanced planning at financial-services firm Baird, in Milwaukee. If you're a real estate investor — say, you purchase houses and rent them out, or some other such activity — there's a chance the new 20 percent deduction on pass-through income will apply to you. The rules are complex, but generally, to qualify for this deduction as a real estate investor, the IRS wants you to be operating a business. The IRS has announced some "safe harbor" rules to help clarify the types of activities that will allow real estate businesses to qualify for the deduction. But even if you don't meet the safe harbor rules, you still might qualify. As noted, it's complicated, so hire a tax pro if you think you might be eligible to claim this deduction. Before the Tax Cuts and Jobs Act, converting a traditional IRA to a Roth IRA came with an out: By the tax-filing deadline — when you would have to pay income tax on the money you converted — you could reverse, or "recharacterize," your decision. In some cases, people were doing this if their investments in the account tanked between the time of the conversion and the tax-filing deadline. But now, no matter the reason, it's no longer possible. The way children's unearned income (generally interest, dividends and investment gains) is taxed has changed. Previously, kids paid taxes at their parents' rate on any unearned income over $2,100. Under the new rules, the rates for estates and trusts apply on unearned income over $2,100. Under the old rules, if you lost your job while you had a 401(k) loan outstanding, that loan became due within 60 days — and if you didn't meet that deadline you risked owing taxes and a 10 percent penalty on that money. This has nothing to do with the new tax law and everything to do with the IRS's annual inflation adjustments: Starting in 2019, you can contribute up to $6,000 ($7,000 if you're 50 or older) to a traditional IRA or Roth IRA. And don't forget that you still have time to save on your 2018 taxes by putting money into a traditional IRA before April 15. Assuming you're eligible to deduct your contributions, the amount you contribute will reduce your taxable income — and thus, your tax bill. The maximum IRA contribution in 2018 was $5,500 ($6,500 if you're 50 or older). Keep in mind that's the max you can put in all of your traditional and Roth IRAs combined. And be sure to specify which tax year you want your contribution to go toward — 2018 or 2019.